BURLINGTON – When Burlington police officers arrested Derek Spilman back in January on charges relating to the sale of marijuana, he promised never to sell the drug ever again. But now the courts are realizing they should have been more specific. 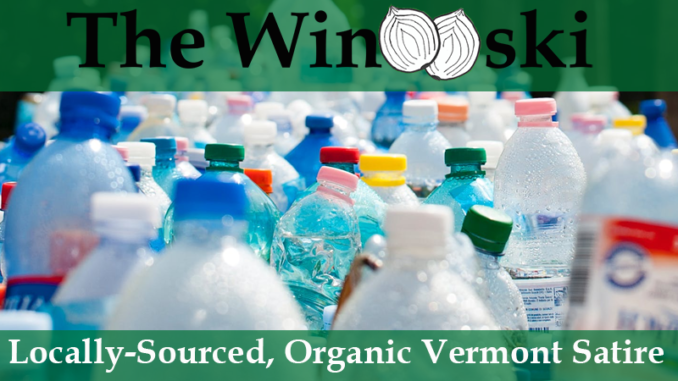 Spilman was arrested again last night in Brattleboro for dealing in single-use plastic items such as grocery bags and straws. Spilman’s arrest did not herald good times for all of his customers, some of whom came to his defense publicly. Police warn that, if the current statewide proposal banning single-use plastics is signed into law, more criminal activity could spring up. Residents are cautioned to never buy any plastic from a stranger or anywhere besides a state-approved licensed plastic retailer.